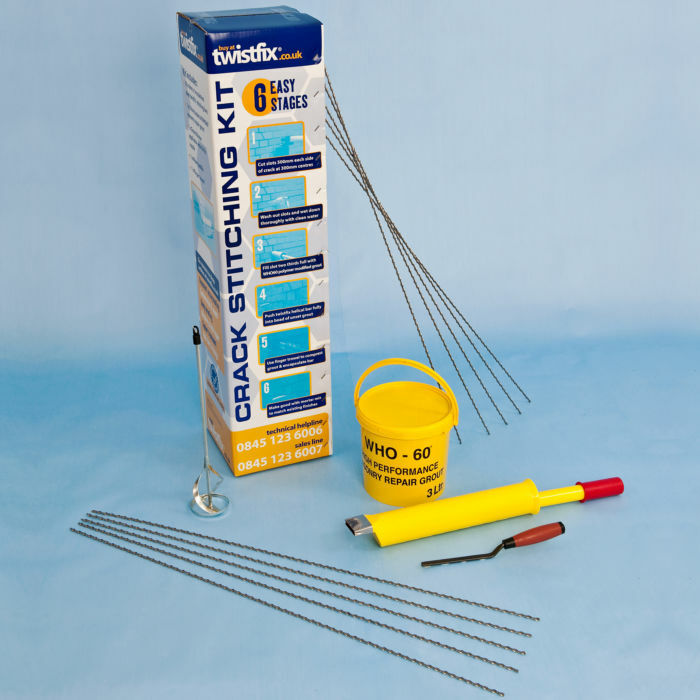 Helically twisted crack stitching bars are used to reconnect and reinforce cracked masonry walls and brickwork. 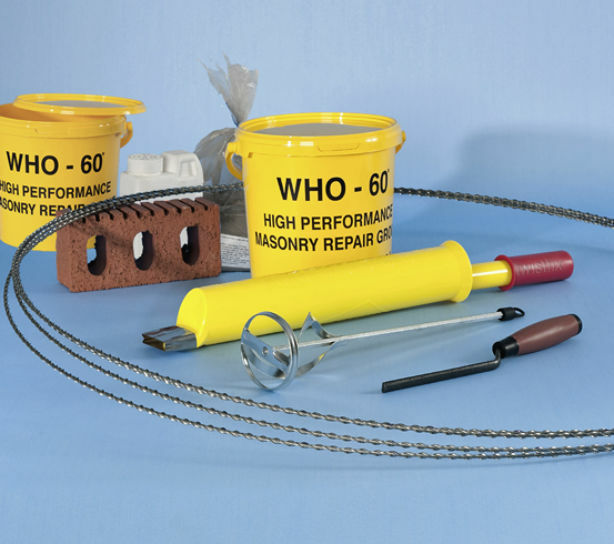 These 6mm profilled and twisted stainless steel bars are bonded across cracks in a wall to increase the tensile and flexural strength of masonry. In use the high tensile (circa 8kN) reinforcing bars redistribute tensile forces along the full length of the helix and provided added resiilience to shear loads to fully restore the stabilised structure to full strength.